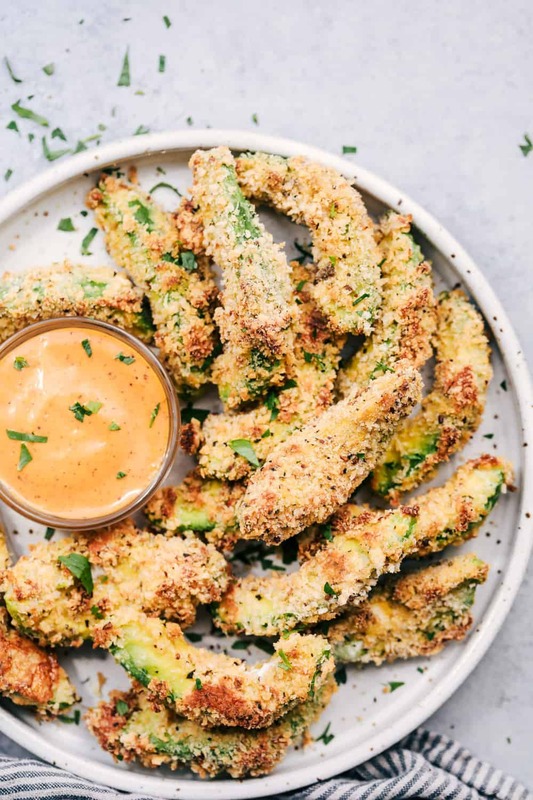 Crispy Garlic Avocado Fries are coated in a crunchy garlic panko crust and baked to crispy perfection! I was at a conference with a friend in Chicago and we spotted avocado fries on the menu. 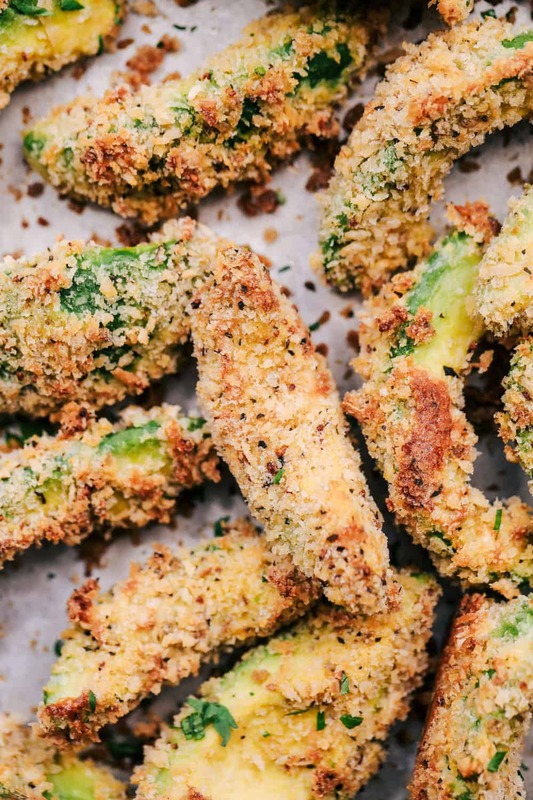 Avocado fries!? I love everything that has to do with avocado and couldn’t wait to try these out for myself. These had a crispy coating on the outside and the inside was still rich and creamy. Then you dip them in a delicious sauce. They make a great appetizer or are the perfect side to your next meal! Needless to say, these had to happen on the blog! 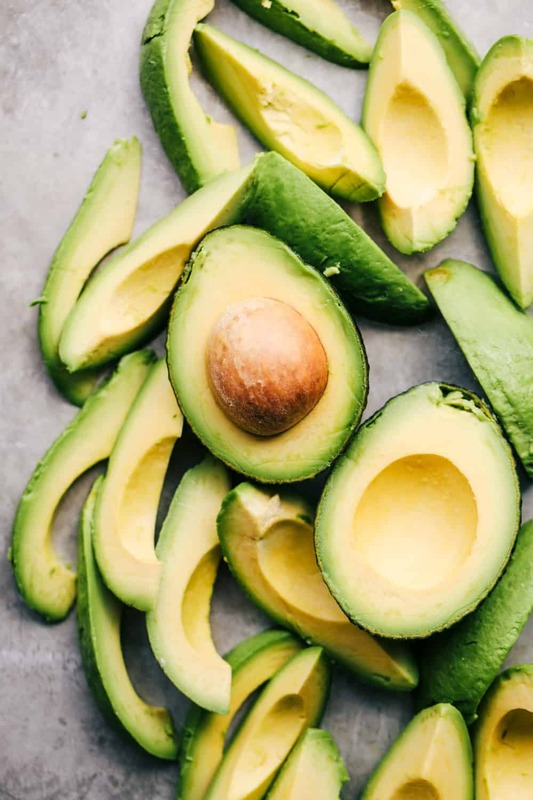 This is a great way to be able to use up underripe avocados. They aren’t too delicate for fry making and hold up while you are dredging them in the flour, egg, and panko mixture. Even though these are a little hard and underripe, they are able to soften in the oven while baking. They come out of the oven tender and creamy, and have such amazing overall flavor! You start by cutting your avocado into fries. Cut them in half and half again. Depending on the thickness that you want your fries to be. You then will dredge the avocado fries in egg and then flour and the crispy panko mixture. Yes you can. Preheat the oven to 400 degrees. Bake them for about 12-14 minutes until the coating is lightly brown and crispy. Baking the avocado bring out a more buttery and muted flavor. Create a sturdy base for the panko to stick on. 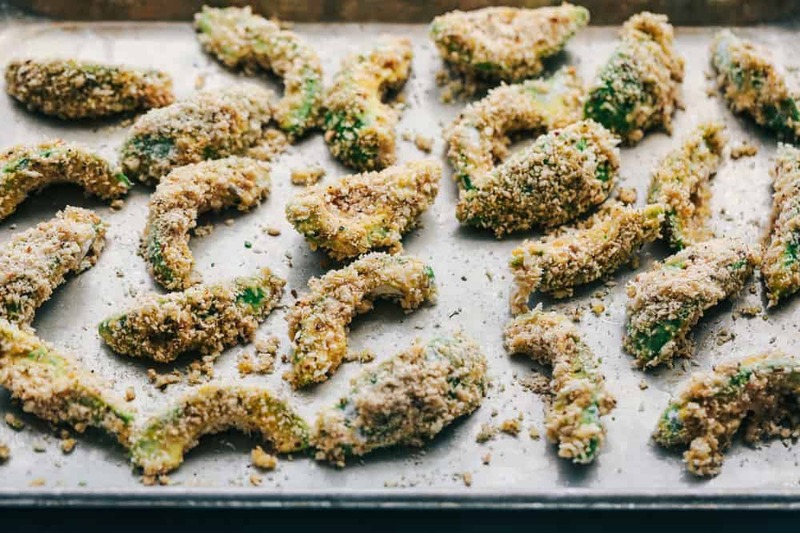 Dredge the avocado fries in the flour, then the egg, and lastly the panko. Spray the panko with cooking spray after you coat the avocado. This will help to give the avocado fries a crispy brown coating. Flip the fries halfway through. This gets all sides to be brown and crisp. 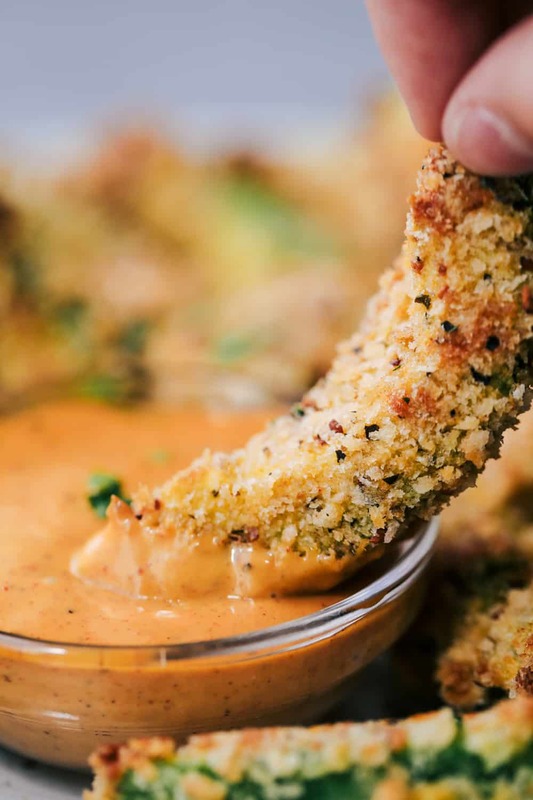 What dipping sauces can I dip avocado fries in? Preheat the oven to 400 degrees. Lightly grease a baking sheet and set aside. Slice the avocados in half lengthwise and then cut into wedges. In a shallow dish add the eggs, in another dish add the flour, and the last dish adds the panko, Italian seasoning, garlic powder, and salt. Dip the avocado into the flour, then egg, and lastly in the panko. Lay onto your greased baking sheet. Spray the avocado with cooking spray and bake for 12-14 minutes until crispy. Serve with honey chipotle dip if desired. These look absolutely amazing! 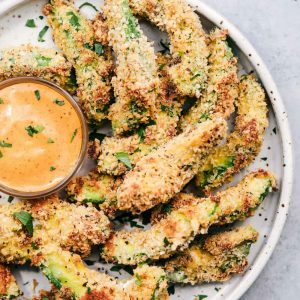 I had never thought to make avocado fries. I love that you can use unripe avocados. I want to try it out! I’m so curious what the flavor is like. Keep these fun recipes coming!